The Christmas season is one of the most picturesque times of the year, and the most visually stunning places to celebrate are those which are covered in snow and brightly lit, dressed up in festive holiday attire. Europe is especially known for its open-air markets, public festivities, lovely music, and the general gayety of the season. Christmas in Europe can make you feel like a kid again, and that is where we have gone for our past three Christmas tours. 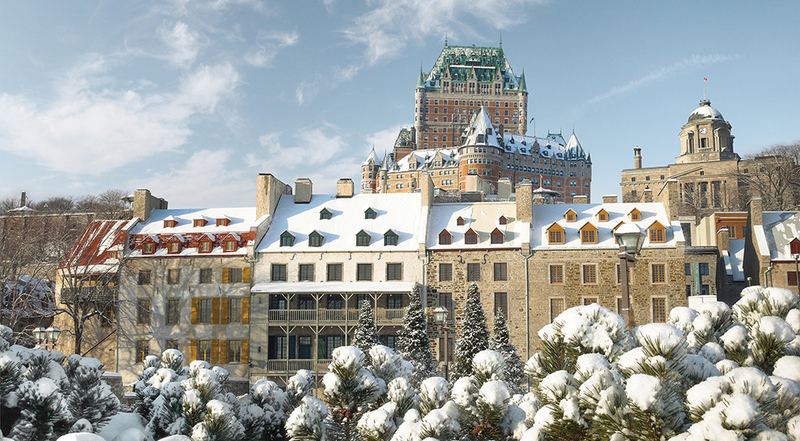 This year we’ve decided to stay closer to home and go somewhere with dazzling Christmas traditions that is just a couple of hours away—French Canada! 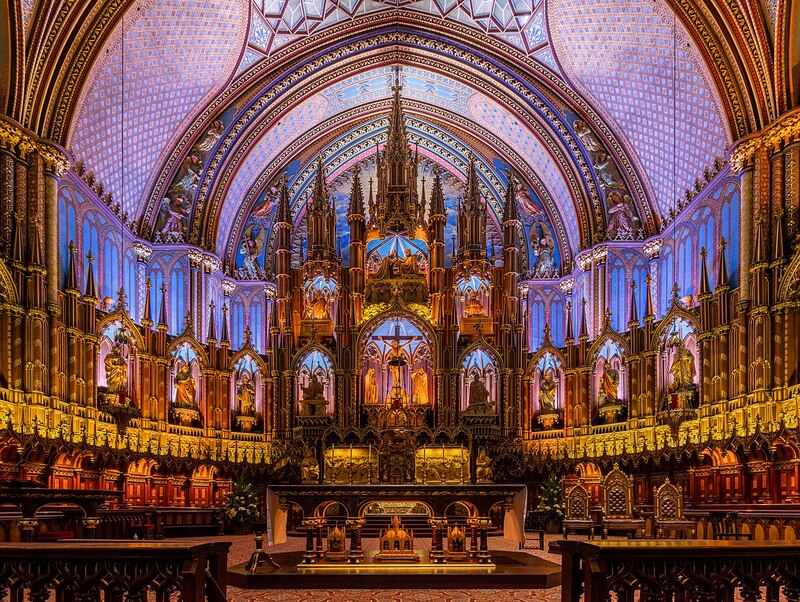 A French colony for almost two hundred years, Canada was originally known as New France. 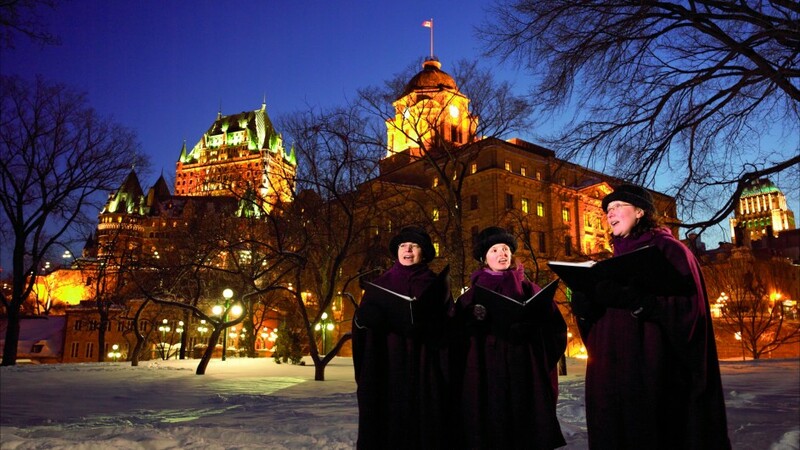 Even today, the province of Quebec retains the language of its earliest European settlers, along with many of its customs including French Christmas traditions. 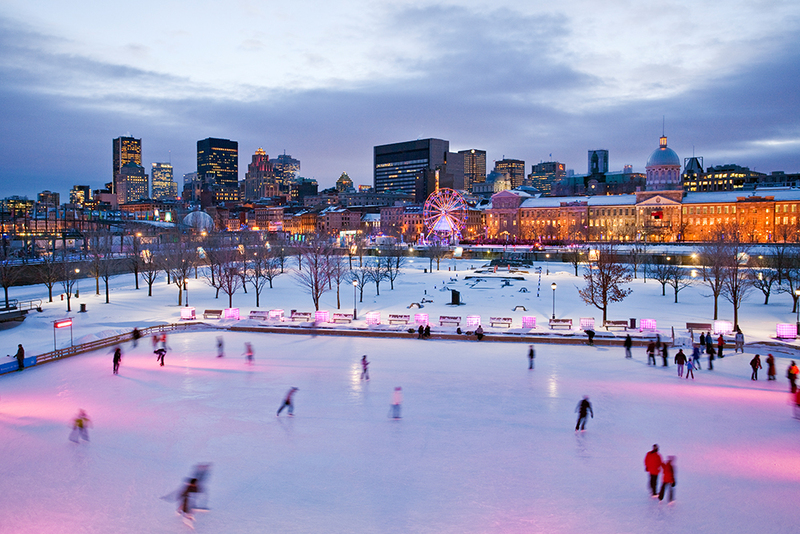 The magical cities of Montreal and Québec will be dressed up in colorful lights, welcoming us to join in their holiday celebrations. Enjoy three nights in each city, a guided tour of both, train travel between them, and a special welcome dinner and farewell Christmas feast. Escape the American hysteria surrounding the Holidays and surround yourself with classic, old-world Christmas spirit. Arrange your international flight to leave your home city early today, arriving in Montreal by this afternoon. (Search for flights using the airport code: YUL). Let us know on your reservation form if you wish to arrive a day early, on December 19. Upon arrival, collect your luggage and take a taxi to our downtown hotel. Our group will meet for the first time this evening for drinks and introductions in our hotel bar. 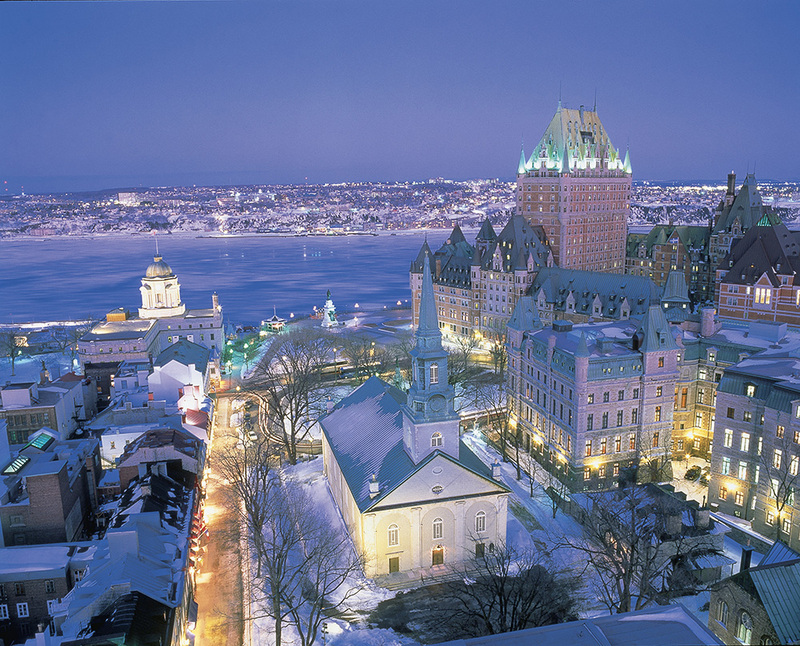 We walk to a nearby restaurant for a Welcome Dinner in Old Montreal, just a leisure half-mile stroll from our hotel. Overnight in Montreal. (Welcome Dinner included).